The area known as Lancaster Gate is named from the entrance structure at the local Royal Parks Kensington Gardens. Each year millions of Londoners visit the National Park, which, as you can imagine makes it desirable to live near, or in walking distance to. Residents of this exclusive area do pay for the privilege for surrounding themselves in almost six hundred acres between Kensington and Hyde Park. Yet it is well worth it for those who make outdoor sports and activities a priority in their lifestyle. Lancaster Gate Road and Lancaster Mews Street are the center of the Lancaster Gate area and have a great many numbers of rental flats available to prospective residents. With quick transportation available all around the area, it’s not unusual for the residents to enjoy the restaurants, pubs and clubs of neighboring area hot spots like Angel and Little Venice. Yet residents don’t need to leave the confines of Lancaster Gate to enjoy such amenities, as you will see below, there are many places to eat, drink, and be entertained within the confines of Lancaster Gate. The area is known to attract visitors from all around London on its annual night of fireworks and music held in Cleveland Square. Speaking of squares in the area, Oxford Square is a great and scenic place to enjoy lunch just off Edgware Road. Well known pubs for the area also bring out of area visitors. Places like The Duke of York, a traditional English pub, as well as The Bridge House classic pub. The Bridge House shares the building with the Canal Café Theater, which offers residents great entertainment within walking distance. There is also the close proximity of Lancaster Gate to the nearby waterway canals of Little Venice, where you can walk along the shoreline, or take advantage of a waterfront eatery like the Waterside Café. Jason’s Trip is a guided tour boat that leaves from Little Venice and travels to Camden Lock with a delightful history of the Regent’s Canal. Also along the canal is the Puppet Theatre Barge which hosts children’s puppet shows. Royal Albert Hall is not far and there is always a host of great performances to take advantage of. Want to know more about Lancaster Gate Rentals? Residents of Lancaster Gate will have only a short distance to walk to be able to enjoy neighboring places to eat and drink in Lancaster Gate. Should you have visiting family members you can offer them rooms in any of the four hotels that are in walking distance. The hotels are The Commodore, Corus Hotel Hyde Park, London Elizabeth and the Best Western Mornington. All are a minimum of four star accommodations and each has a lobby pub that residents don’t need to be guests of in order to enjoy. The Corus also has an interior restaurant called Bel Canto, which serves French cuisine. There are a number of great pubs to visit when living on Lancaster Gate near Bayswater Road. The Swan is a local pub of good size that serves great meals of English fare foods. The Swan has outdoor tables and is low key and multicultural. Also serving great British fare in a pub setting is The Prince Edward, which is a vintage-chic style pub. The Windsor Castle, the Victoria, and The Churchill Arms are all pubs that keep going in the nightlife scene till well after dark. There is also The Mitre Lancaster Gate with has a full three floors of eating, drinking and entertainment and it is styled with its signature stained glass skylight. The Mitre is also known for its late-night club atmosphere. In looking at shops in Lancaster Gate one that stands out is the YN Emporium on Bathurst Street, there you will find any sort of wine you may want to sample. Other area restaurants are the Thai offerings at Nipa, and the middle-eastern fare of Assaha Restaurant. If galleries are your fancy you have a great selection within walking distance. Particularly popular during the summer is the Serpentine Gallery Pavilion. There is Etel Adnan displayed at the Serpentine Sackler Gallery. 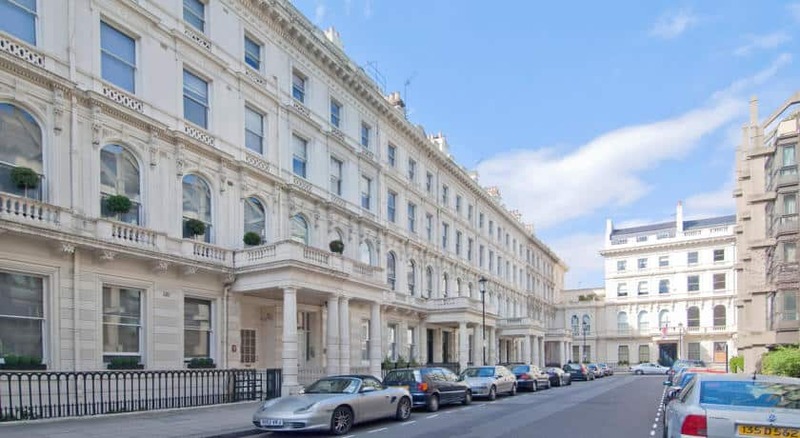 Not to be missed as an added benefit to living in and around Lancaster Gate rent is its proximity to both the Royal Park Services Hyde Park, as well as the beautiful Kensington Gardens. With two of the most beautiful and well known parks nearby the chances of undertaking a healthy outdoor lifestyle is just a short walk away. Outdoor sports clubs and organizations frequently utilize the number of resources that Hyde Park has to offer. With over 350 acres, the park facilitates an entire range of time off sports such as roller blading, skateboarding, and cycling, which is allowed on all streets in the park. There are some additional activities of note that are specific to Hyde Park Royal Park grounds. Hyde Park is one of the only locations for public leisure horseback riding. While not as common as the running, jogging, and walking done daily at the park it is an unexpected pleasure in the midst of a busy metropolis such as London. Perhaps not as uncommon, but surely more in demand is the swimming that is aloud on Hyde Park’s The Serpetine. In addition to swimming on its shores scores of boaters frequent the waterway in the summer season.